If you can believe this, E has already left me again - this time to spend a few days camping in Zion with our friends who are visiting from the East Coast. Sadly, I had to stay home as I used up all my vacation + some when we were in Italy. So while I have a few more days of freedom, I wanted to try a food that I'm pretty sure he won't try (and, to be honest, I was a little scared to. Inspired by KERF, I bought Sardines. Thr secret ingredient made this recipe for me though - curry powder! 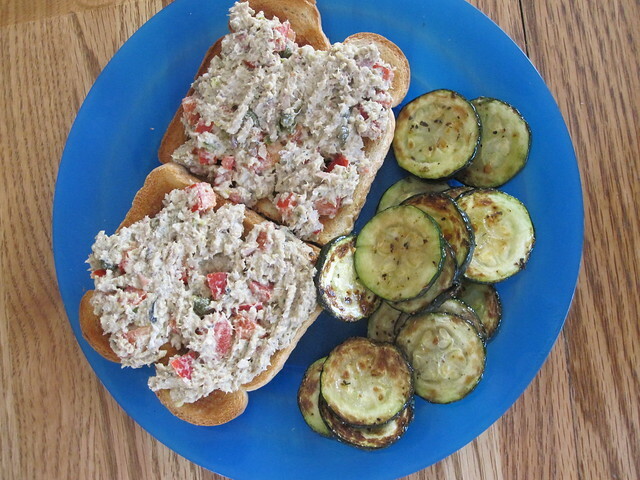 It's going to be a new staple in my tuna/sardine salads. So good! served it up with roast zucchini while I caught up with SYTYCD. Would you ever try sardines? What about anchovies? I love sardines! I eat them straight out of the can on crackers. Delish! 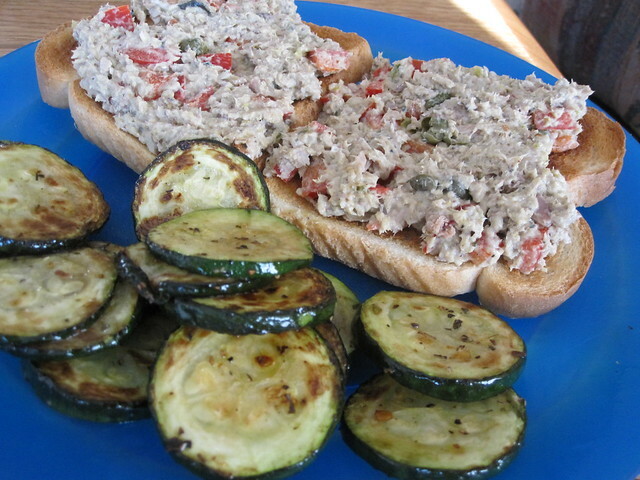 So much better than canned tuna! They're really healthy for you and very filling! I've seen Kath's videos about sardines.. 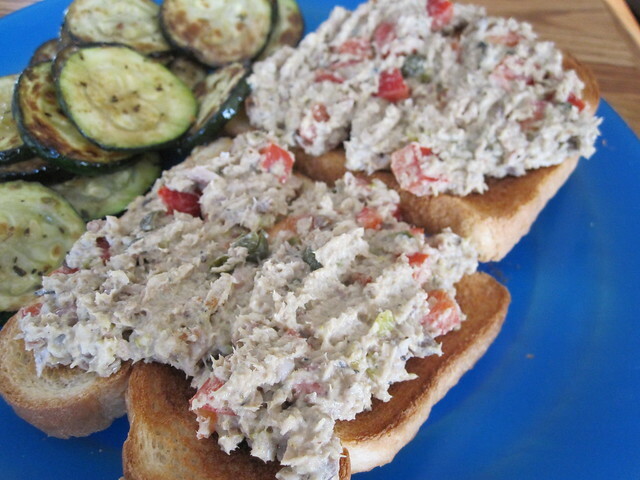 I love tuna but you know.. they're sardines.. I should really try them. My guy loves sardines. I may have to surprise him with this one!! And thanks for the curry idea. I never thought of putting it in tuna!! Here's to try new things! Interesting. I don't know if I'm that ballsy, but your photos certainly make it look delicious! I've tried an anchovy on top of a salad once.. and had to drink 3 glasses of water because of how crazy salty it was!